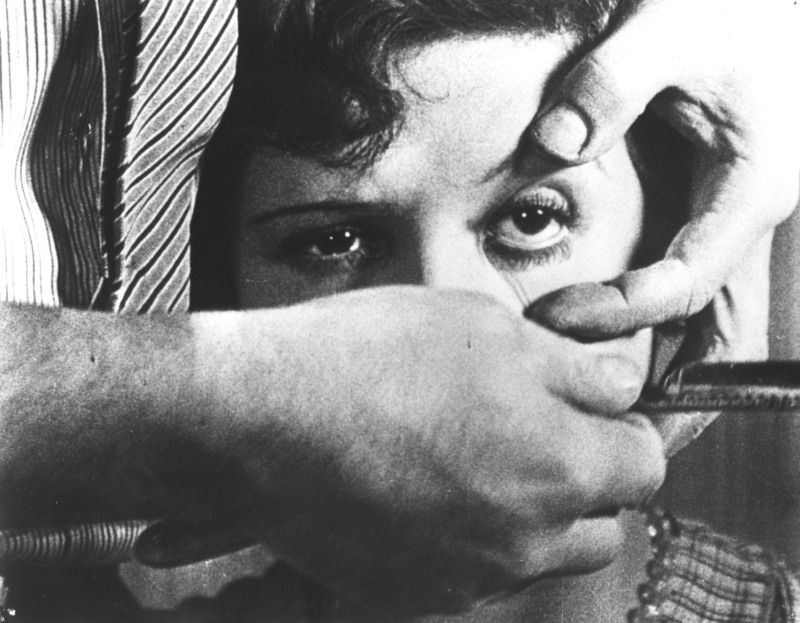 Un Chien Andalou is a 1929 silent surrealist short film by the Spanish director Luis Buñuel and artist Salvador Dalí. 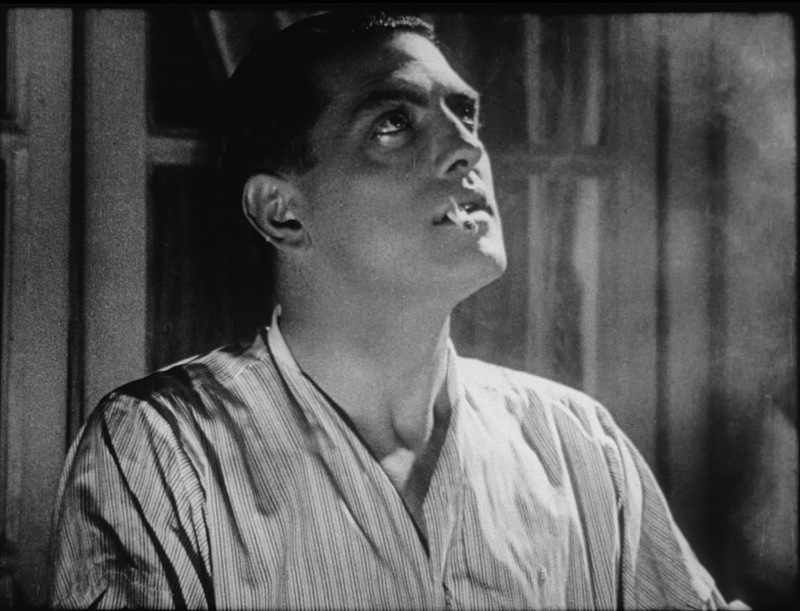 The films of Luis Bunuel are consistent in their shock and controversy. Later in his career he used this massively to his advantage, often commenting on the faults in high class society such as in “The Discreet Charm of the Bourgeoisie” a film I regard as a masterpiece. However, I am not always a fan of his early surrealist work. Many films like “Un Chien Andalou” were made in the early stages of cinema, however few were as shocking and disconcerting, I would argue that the films popularity is mainly down to this. For some film fans, seeking out the film is more of a shear interest in one particular shot – the cutting of a woman’s eye. The shot is shocking and violent even to this day, it has been copied countless of times and is one of the most famous images in world cinema. A blade slicing through a woman’s eye, as a thin cloud slices past the moon. The shot is extremely interesting and skilfully executed, but is it as meaningful as some people think within the context of the film? Do some ants crawling out of a hole in a mans hand mean more? (something that also happens in the film) To me, they are great and interesting images, they are images of art, art that works under its own purpose. The problem I have is when films such as “Un Chien Andalou” are over analysed by filmmakers that think they are smarter than everyone else. Those who are influenced for the wrong reasons and take this to make something empty and meaningless. Something that only they could ever possibly understand. My point is that, when it comes to viewing a film like this, we must understand that this is a surrealist work. It means nothing directly. I myself do not connect with this a great deal, however I can accept and appreciate the film for what it is – an experience. A shocking and strange experience that does have some interesting moments and imagination. My main concern with films like this has always been how others see it and use it. Surrealist and art-films can be great, but to me they can hardly ever be as meaningful and soulful as a true story of humanity and human perseverance. Some filmmakers construct what they see as their masterpiece, only to be blinded by the fact that it means nothing to anyone, not even themselves. They might see their art film as a huge comment of modern life but show images that have nothing to do with this. Worse still they go on to try and justify why the audience are wrong, making them look stupid for not understanding. I am of course not speaking of Bunuel or his films. I see him as a true genius filmmaker, because he understood that “Un Chien Andalou” was a playful exercise in using film to provoke the consciousness of its audience. However, there are plenty of great grandchildren of this film that instead of this, try to be ever so pretentious, in so destroying the name of art cinema – and it saddens me terribly. 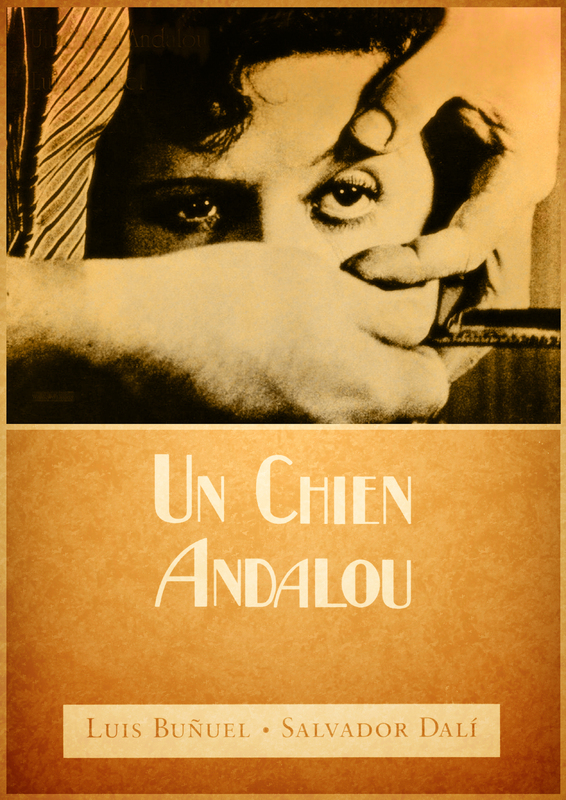 “Un Chien Andalou” is not my favorite of Bunuel’s films, however I would still recommend seeking it out. It is a pure example of what a film of its kind should be, playful and visually interesting without taking itself way too seriously. I remember seeing this at my Fresher’s week and I nearly threw up at the scene with the eye! I love Dali’s art but I was too young to really appreciate this film. That’s a great reaction to the film, I’d say a perfect one. I had my own personal rants that I wanted to mention, but this was not due to the film. I am not a fan personally, but I agree with David (above) about the introduction of styles; many later developed, or often copied by others. It does seem to hold an exaggerated importance in film history though, and I also agree with you, that some see it as essential, to over-analyse minute aspects of the film. An interesting post, and one that will hopefully generate discussion. I lived in Spain for a bit and actually first encountered the film while there. It’s still surreal that I was in the birthplace of surrealism!